Who doesn't love a good s'more? 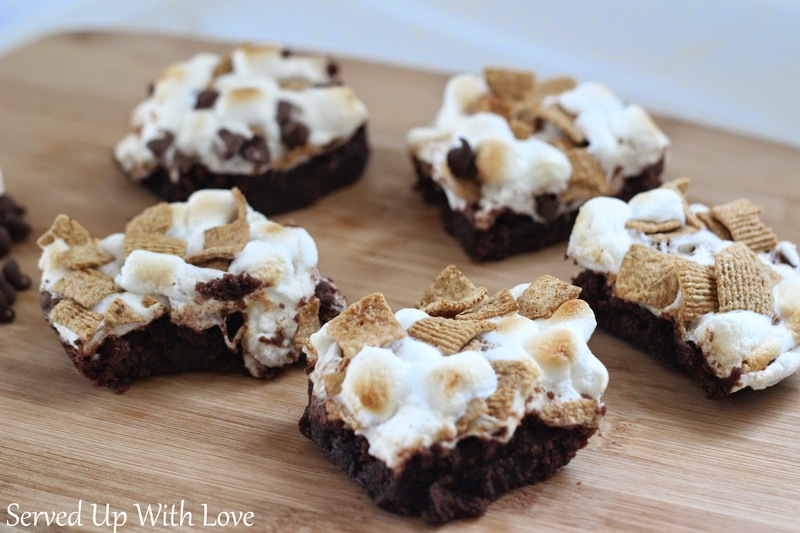 These brownies allow you to have the taste of a s'more without the campfire. I love the ease of making these without the hassle of building a fire. These disappear very fast! These last couple of weeks have been super busy for us here. We are overloaded with graduations and celebrations. 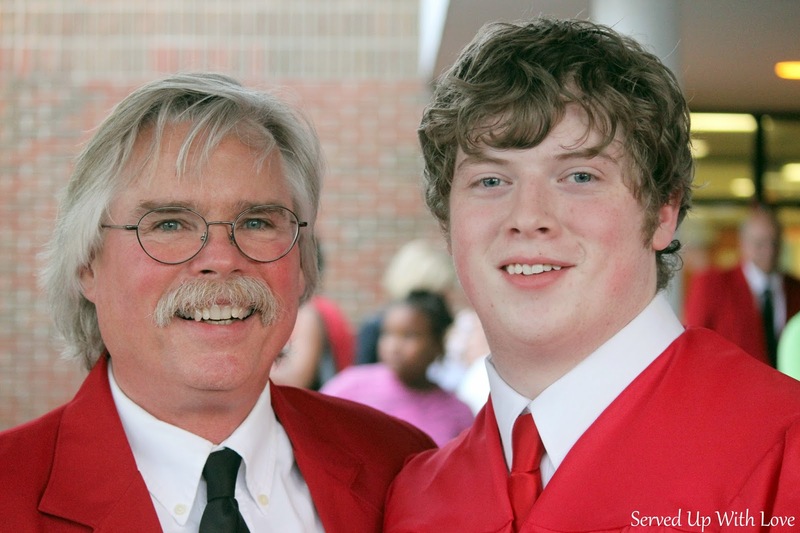 Our son graduated from the vocational school last week where he was studying culinary arts. This is my son and his culinary teacher. I am super thankful that he had such a great teacher to guide him on his path to become a great chef. Can't wait to see what is next in store for him. This Saturday will be his high school graduation ceremony. Sigh....I need to hit the pause button!! Bake brownies according to package directions. Remove from oven when a toothpick inserted in the center comes out clean. Sprinkle the marshmallows, chocolate chips, and cereal over the top. Place back in the oven under the broiler. Do not walk away while broiling, the marshmallows will brown very quickly, within a minute or so. Remove and allow to cool a bit before cutting. Spray a little cooking spray on the knife to help with the marshmallows sticking. This recipe was shared in a recent issue of Chesapeake Style Magazine in my Served Up With Style column.